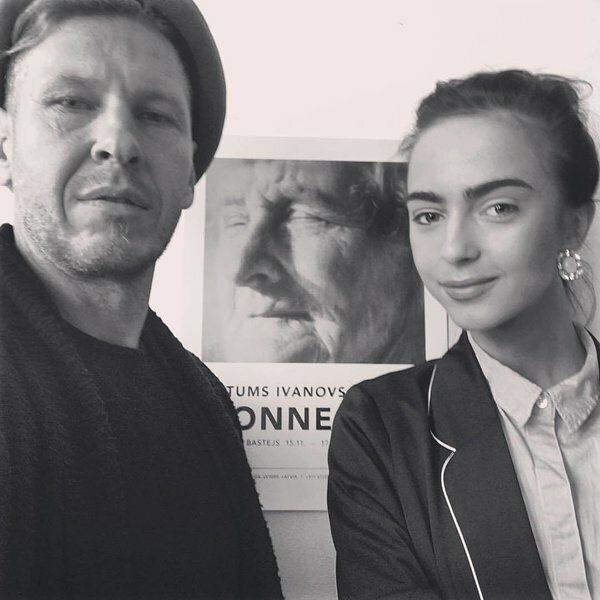 Tonight, gallery Bastejs will host Ritums Ivanovs' solo show "Connect". Within his new concept, the artist explores the world from an esoteric point of view, delving into the nature of global consciousness through personal experience gained by practicing meditation and tapping into the expansion of awareness. Humans with all their different emotional states form the central axis of Ivanovs' oeuvre. The painter works in his self-invented line brushwork technique that is a fusion of realism and pop art. Ritums: "It is important for me to be in contact with myself, to connect with myself, but not place myself in the centre of attention. It is important for me to observe, notice, and not to teach nor judge. Noticing life is a new beginning that is derived from the present moment. This is the connect. This is how I connect." "Here, the narrative is formed through a human face that shows minute and fine vibrations, feelings and happenings. There is intention to merely touch global consciousness at the universal level with the personal style. dissected to a microlevel." 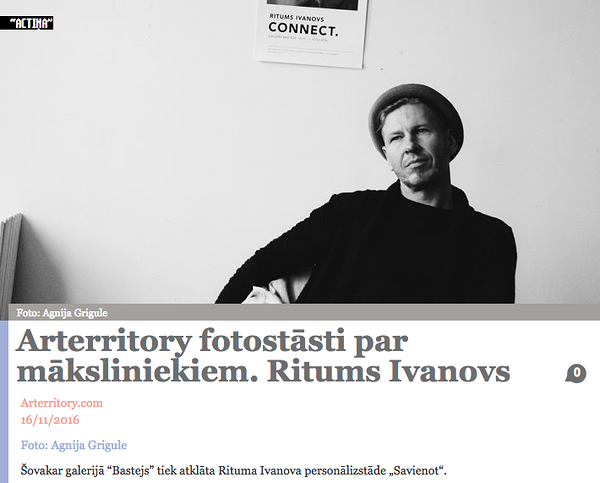 Having its vernissage November 16 from 6-9 PM, the exhibition will be on until December 17 in Gallery Bastejs, Riga. Some of the paintings will travel to the US to participate at the contemporary art fair Scope Miami Beach, USA, from 29 November to 5 December with Bastejs.